Humility is a complicated thing. How do you really be humble when you are as good looking, intelligent, funny, and perfect as you are?! Fr. 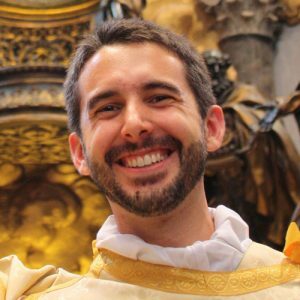 Mattingly is a priest of the Diocese of Kansas City – St. Joseph, MO. He grew up in North Florida until the age of 13, when his family moved to Missouri. 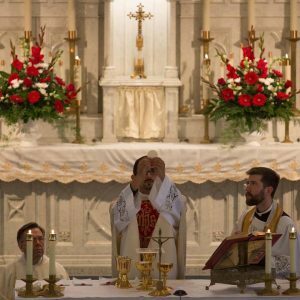 He entered seminary in 2008 and was ordained a priest in June 2015. He just obtained a Licentiate in Church History at the Lateran University in Rome, and is now located at a parish in his diocese. In his free time, he enjoys playing soccer and disc golf, as well as learning about and experiencing the treasury of the Catholic Church’s sacred music tradition.